by Ken Knopp. 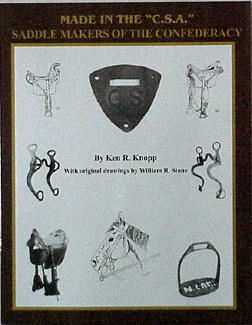 The companion piece to "Confederate Saddles & Horse Equipment" featuring 200 pages, over 80 illustrations of rare artifacts and unpublished photos of mounted soliders. Detailed information on over 300 of the Confederacy's largest contract suppliers, government arsenals, depots and makers of horse equipment. Softbound.